At the start of Vampyr, Jonathan Reid is in something of a predicament. Standing by his sister’s corpse, he realises he’s responsible for her murder. He ends up on the run, while armed guards give him chase through the city’s dark streets. Reid is a doctor, and he soon discovers he’s been turned into a vampire, setting out on a quest to find out who’s responsible for this in early 20th century London. Such is the setting of Dontnod Entertainment’s latest game, one of the few vampire games to be released in a long time. But while this features pretty good action and a rich story, Vampyr isn’t quite a must-have game due to several issues which hamper the experience. 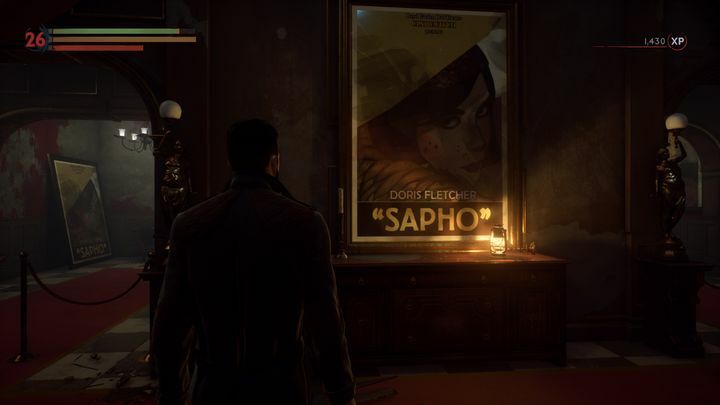 And the truth is that Dontnod’s depiction of early 20th century London is not so great here overall. I could not appreciate any distinctive landmarks, while the game’s dark and cramped streets might as well be those of any other European city of the period. Other video games such as 2015’s Assassin’s Creed Syndicate and even The Order: 1886 definitely portrayed the city in a better light than Dontnod does here. While Vampyr’s rendition of London is not so interesting, some of the art scattered throughout the game world sure is. Examples of this are a poster announcing an actress’ upcoming play, and interior lamps in the form of statues. Interior lightning is also pretty atmospheric, adding to Vampyr’s macabre mood. These add to the atmosphere, and are a stark reminder that the city under the grasp of an epidemic, as the Spanish flu is ravaging the population in this early 20th century London. Actually, early on protagonist Jonathan Reid accepts a fellow doctor’s offer (who also knows Reid is a vampire) to work at Pembroke hospital, which becomes a base of operation of sorts throughout the game. This will give you a chance to interact with Vampyr’s cast of characters, which is a bit more involved here than in other games. Being a vampire, Dr. Reid can be especially persuasive in conversations, and sometimes you get special dialogue choices (in blue text) which will force the other person to reveal information they normally wouldn’t. While the game’s depiction of London isn’t great, it does contain some atmospheric locations such as a theatre. This form of vampiric persuasion lets you find out more about the other person, their situation and relationships with other characters. 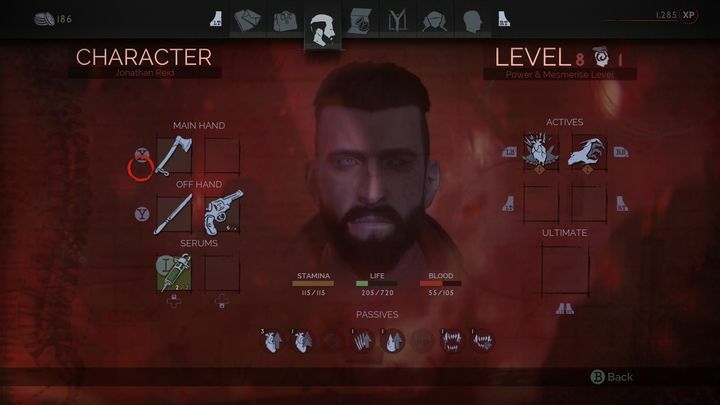 This dialogue choices are available if you’ve gathered the necessary hints in earlier conversations, and are accompanied by a nifty sound effect that truly makes you feel like a ruthless vampiric interrogator… This also makes interaction with the people who inhabit the game world more interesting, and surely is a highlight in Dontnod’s game. A problem here is that it’s not always clear where you can embrace a character or not. This had me wondering about London walking with a character I had just mesmerized, whom I had let go in the end because I couldn’t find a suitable location to bite the fool… Embracing a character will kill him or her, and the process is accompanied by grand operatic music that wouldn’t be out of place in a horror movie. Of course, you don’t get to drink other character’s blood in Vampyr for its own sake though, as you get a healthy dose of experience points after biting another person. These can be used to upgrade Dr. Reid’s abilities, boosting his health bar and stamina, and also his blood bar, letting you accumulate more of the red stuff in combat. Biting enemies is something you’ll likely do much in Vampyr’s combat sequences too. 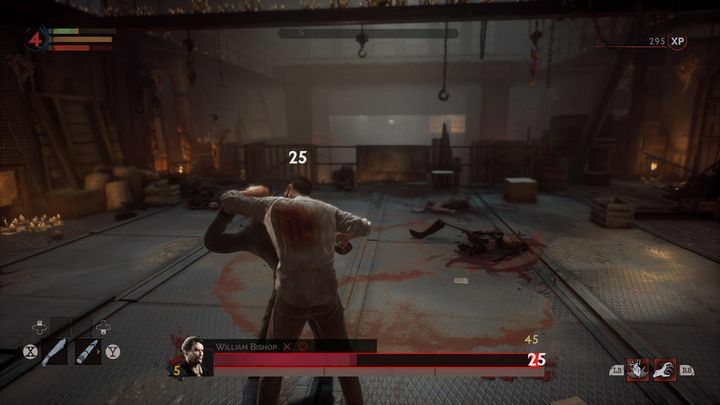 Being a vampire, Dr. Reid can bite enemies during fights to fill his blood bar. It’s also possible to bite enemies after knocking them down, something you can do with certain blunt weapons and other killing tools such as stakes. You can also catch enemies unaware before a fight begins, knocking them down and getting your first taste of blood before they can react. Biting during combat in Vampyr sure is fun, and adds to the feeling of being an all-powerful creature of the night enemies are rightly afraid of. It’s also part of the balancing act one must carry out during Vampyr’s fights. You can always use your vampiric powers to make people tell you what you want in this game. This is because you have to keep track of your health, stamina and blood levels during fights. Obviously, if Dr. Reid’s health bar drops to zero it’s game over (since he’s a vampire and therefore an immortal though, he’ll just respawn at a nearby point). Attacking with a melee weapon drains your stamina too. This recharges automatically, but it can turn you into a sitting duck if you’re surrounded by enemies at this point. Running out of stamina also prevents you from using Reid’s teleport ability for a quick escape, something I found annoying during combat truth be told. There’s also the tough choice of deciding how to use your blood deposits during combat. Should you use it to power devastating attacks such as vampire claw, or use it to heal yourself? Vampyr’s combat is certainly ripe with possibilities, and even if it doesn’t feel as smooth as I would have liked, it’s still one of the best aspects of the game. There are also a variety of weapons available in the game. These include melee weapons like axes and blunt weapons, either single-handed or two-handed. I found a blunt weapon of the two-handed variety I picked up early in the game particularly effective, and did not had to bother with anything else for most of the game though. That is, until I came across a particularly tough boss fight later in the game. This fight had me stumped for a while, as this boss is quite resistant to melee attacks, rendering the two-handed weapon I had been mostly relying on until that point in the game not as effective as I would have wanted. Thankfully, Vampyr let me return to its open world and level up Dr. Reid a bit in order to better prepare for the fight. You see, while this boss deals with melee damage well, she’s actually pretty vulnerable to firearms, so I upgraded my bullet carrying capacity and stocked up on bullets for that shotgun I had been carrying with me for a while but hadn’t used much yet. It’s certainly an interesting aspect of the game how the different boss fights forced me to change my strategy at times, making Vampyr’s combat more appealing. The game’s various enemies include giant werewolves and skals, zombie-like creatures which roam London’s streets. There’s also the Guard of Priwen, an overzealous group of vampire hunters who will attempt to kill Dr. Reid at every opportunity. They will throw everything but the kitchen sink at the good doctor, using firearms, poisonous gases and even shine crucifixes at him (which drain both stamina and blood in combat). You’ll also encounter vampires roaming the streets in the later stages of the game, who can use the same powers you are able to wield in the game against you, making for some interesting encounters. One aspect of the game I liked is that the Guard of Priwen guys are as inclined to fight other vampires and monsters roaming about as they are to fight Dr. Reid. I was able to use this to my advantage on occasion later in the game, in which I waited for one party to fight each other and then finish off the remaining enemies. This is a good thing, because you’ll be up against some powerful enemies throughout the course of the game. And as mentioned earlier, it pays to know a character’s resistances to different types of attacks to better prepare for fights. In order to do this, you can turn on Dr. Reid’s “vampire vision”. This shows enemies (and other characters too) as red spots in the game world, while everything else is rendered in shades of grey. A bar above their heads shows an enemy’s name and level, and also how resistant to weapon and vampire powers it is, meaning you’ll be able to dispatch foes more easily if you plan for fights beforehand. Aside from taking into account an enemy’s resistances and resorting to weapons and special abilities in order to put them down, serums can also give you an advantage during combat, giving a boost to your health, stamina or blood levels. You can make these at crafting tables (which are available at hideouts located throughout London) using ingredients you find or buy throughout the world. Crafting tables also let you prepare treatments which can be used to cure citizens. Curing citizens can be done during dialogue and helps increase their blood quality, meaning you’ll get more experience points if you choose to embrace (bite for blood) him or her later on. It also raises the health level of the district the citizen resides in, meaning it’s less likely to fall into chaos. You can equip weapons, powers and serums for use in combat on this screen. This poses an interesting dilemma, because if a district’s health goes below a critical level all citizens will die and it will be invaded by powerful enemy creatures, while you also lose access to any goods certain citizens might be selling (guns and bullets for instance). So it’s a case of balancing your desire to become more powerful with Dr. Reid’s duties as a doctor and his moral values, certainly one of Vampyr’s best aspects overall. Of course, you can also get through the game without embracing anyone, and it’s not like there are that many character’s roaming developer Dontnod’s version of early 20th century London, making the city feel quite empty at times as a result. 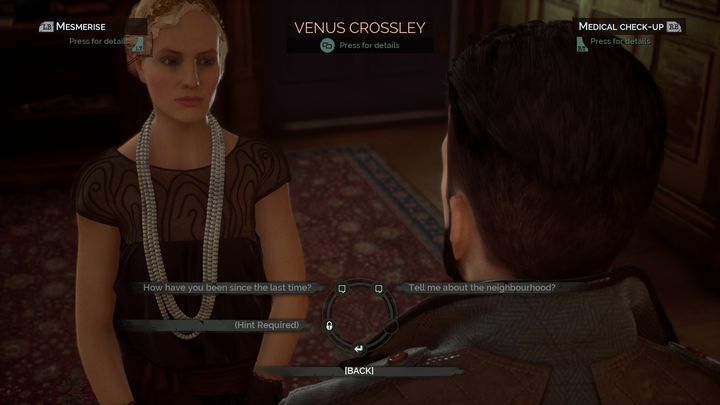 But although the London seen in Dontnod’s game is largely devoid of citizens, this doesn’t mean that there are no interesting characters going about their business in the streets. Some of these are good for comic relief too, such as a woman who has been possessed by a vampire and is trying to free herself from the evil spirit… There’s also another character claiming to be a vampire at Pembroke hospital (obviously Dr. Reid being a true vampire knows the woman is lying, of course, which makes for some funny dialogue here). Jonathan Reid’s senile mother is also a good character. Like with any other character, you can choose to embrace her too, while she is also at the centre of a surreal scene involving Reid’s sister, which is followed by one of the game’s best boss fights. The Ascalon Club is a high society vampire club located in an opulent mansion, and is one of the game’s most interesting locations together with the theatre I mentioned earlier in this review, while a tenebrous crypt full of candles where you get to chat with a charismatic soothsayer is also another good location you can visit later in the game. 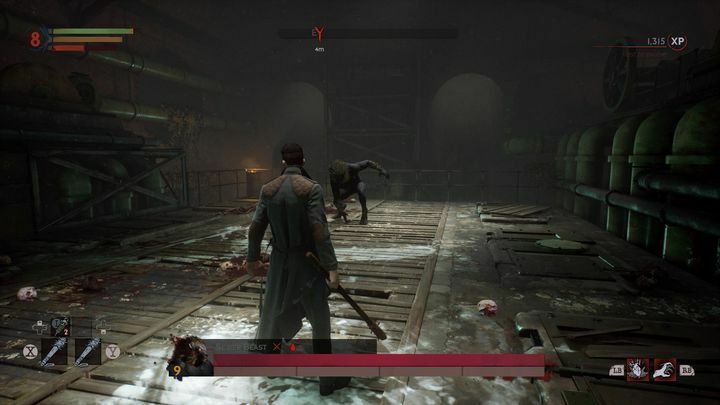 Finding your way can be difficult at times though, and despite the fact the game has a map like most video games do these days, I often found getting to a location through Vampyr’s cramped streets a challenge, and reaching the elusive door or ledge that would allow me to continue my journey sometimes proved problematic. There are no shortage of exciting boss fights in Vampyr. Other quirks include the fact that the game’s graphics are not cutting edge by any stretch of the imagination (and some of the in-game text could definitely be bigger in this PC version I reviewed too), although some of the game’s settings such as a theatre are beautifully rendered, and are made even more atmospheric by the game’s good lighting effects. Some of the sound effects you hear during combat are not so great too, and the thump made by some melee weapons and firing noise of some guns leaves a bit to be desired, even though weapons like the shotgun sound satisfying enough. The game’s side quests tend to be rather simplistic too, and just involve fetching specific objects or looking for a missing person, for instance. These are entertaining enough, but it’s clear the meat of Vampyr is definitely in the main story quest. So, what to make of Vampyr then? 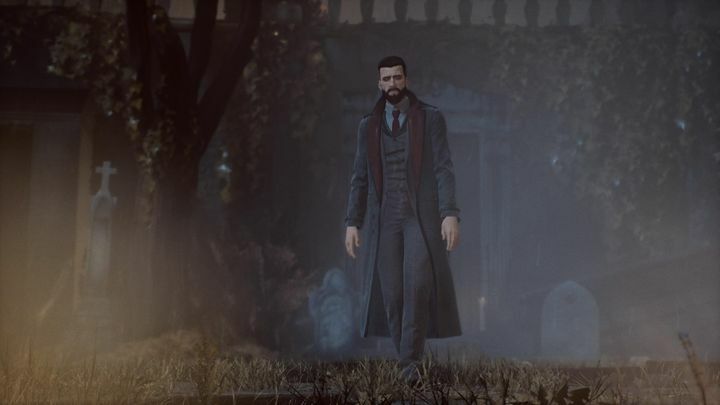 This is certainly one of the most original games released this year, and despite not getting everything it attempts to do right, is certainly recommended for fans of action and adventure games, as well as those seeking a new vampire video game to add to their collection. This game was reviewed using a copy (Steam download code) purchased for the purpose of this review.